Are you ready for another My Favorite Things Summer School card? This time I made a card for the Lesson #8. This one is about Primary Colors - red, blue and yellow. 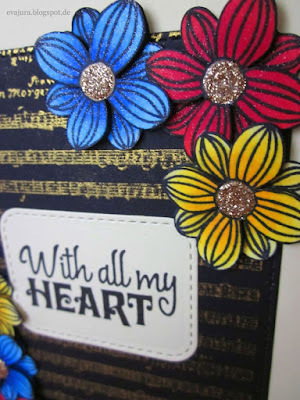 To create the background I die cut a black card stock using Stitched Rounded Rectangle by My Favorite Things. I also used the Music Sheet stamp from LaBlanche and the Delicata Gold Ink. 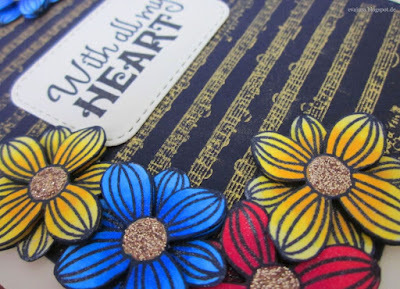 The beautiful Botanical Love flowers by Create a Smile were stamped with the Memento Tuxedo Black ink and colored with Copic Markers. 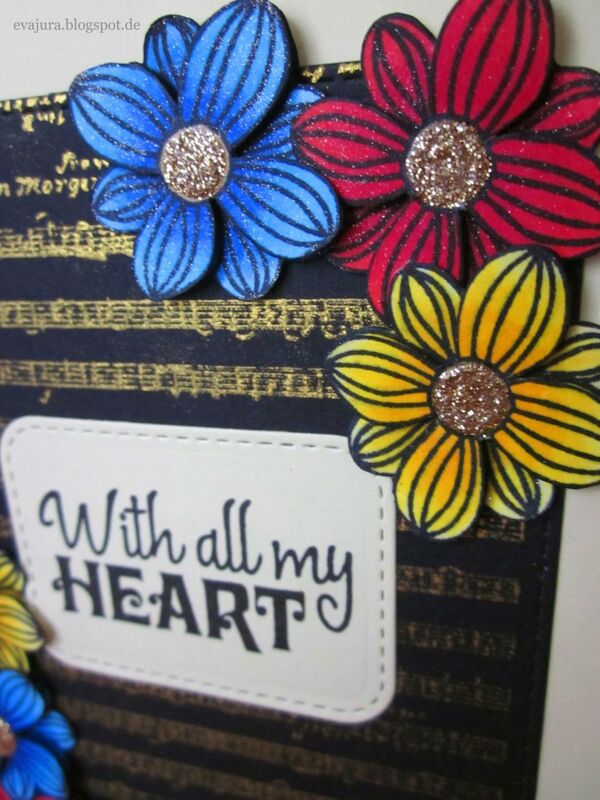 I applied some gold Glitter Glue for the middle of the flowers. Thank you for stopping by. 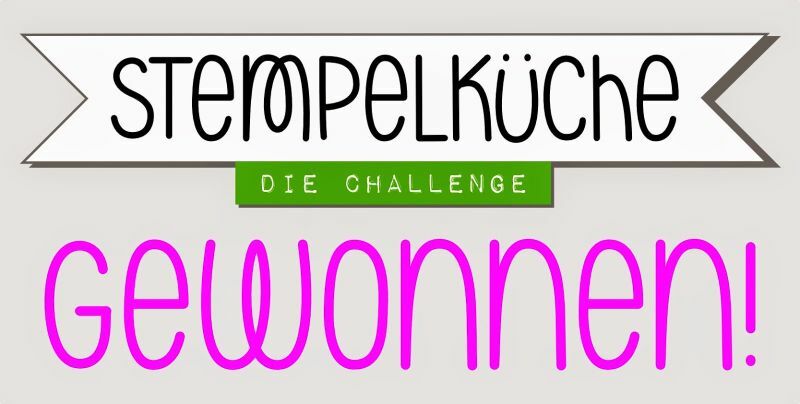 Enjoy the card! beautiful colors! 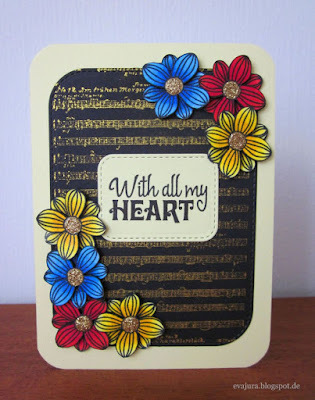 and i just love the gold music in the background :) thank you for playing with us at simon says stamp wednesday challenge!